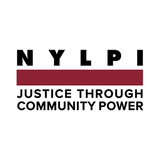 You may receive updates from NYLPI, the sponsor of this petition. You may receive updates from NYLPI _, the creator of this petition. In addition to making our commutes ten times more difficult than for most New Yorkers, the MTA Board wants to make us pay $3, instead of $2.75, to endure continued insults at their hands?! We have been pushed around long enough! That’s why we’ll be out in force at the Feb 25 Metropolitan Transit Authority board meeting, where the MTA board is scheduled to vote on a fare hike. We'll put the name of everyone who signs on a huge banner to bring to the hearing. 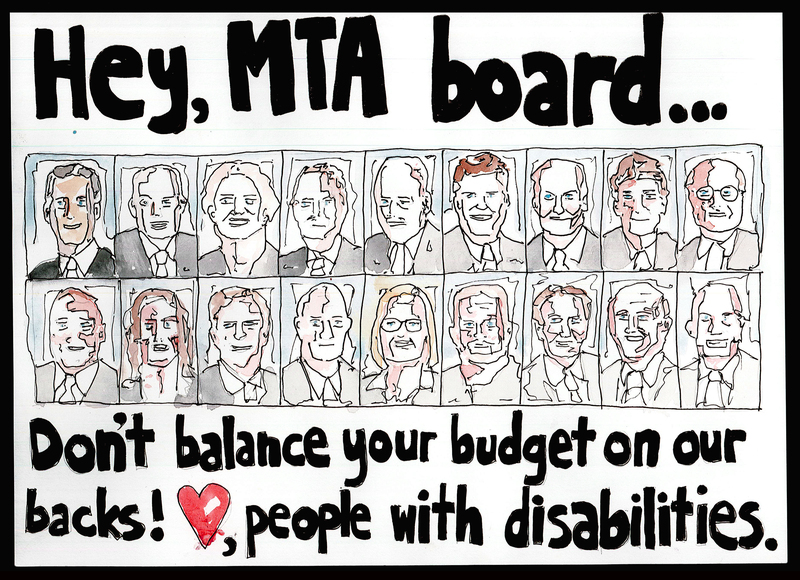 Will you add your name to the petition, to send a message to the board of the MTA? New York City: Do Not Balance Your Budget on the Backs of People With Disabilities. It is unfair and outrageous for the MTA to increase fares on people with disabilities by a whopping nine percent when the service remains as appalling as ever for many of the City’s Access-A-Ride paratransit users. For more than 144,000 New Yorkers, the subway system is simply inaccessible. People with disabilities must brave Access-A-Ride, or “Stress-A-Ride,” as many riders call it, in order to have a life in this great city. It would be one thing if Access-a-Ride offered parity of service compared to the subway. But most users experience delays of up to four hours, are taken out of their way on multi-borough detours and have to book their trips a full day in advance. Until the Access-A-Ride service is improved, it’s particularly unfair to consider a fare hike! Isn’t there something that can be done—like congestion pricing—that would prevent people with disabilities from being kicked around every couple of years like a political football? We hope so. Our leaders must not stand by while vulnerable populations are shunted back and forth. They must work together for the good of all. Do not balance the budget on the backs of people with disabilities!